Last week I missed World Puppy Day. I’m kind of bummed out that I didn’t know. What would I have done if I had known? I have NO idea, but I’m sure it would have been super fun and adorable. Because of that, however, this week I’m making sure you and I don’t miss another very important (wink) day. 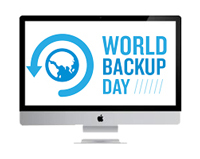 World Backup Day will be internationally recognized on Sunday, March 31, 2019. So, I’m wondering . . . how will you react to this day? Will you sleep soundly knowing your precious memories are safe? Or, is it time to revisit your current setup? Please, whatever you do, don’t make the costly mistake of doing nothing when it comes to a having a backup plan for your data. Give and take backup advice in Community. See what my plan is on the blog and share yours. Create even more memories with Jenifer’s newest FREE Qwik Tutorial below. In case you missed it, last week I featured a courtesy announcement featuring four classes that will see a price increase in the QwikLearn classroom as of April 1, 2019. Read last week’s newsletter on the blog for details. Subtle stripes are the perfect compliment to any scrapbook page or greeting card. In this tutorial, learn a quick and easy way to create subtle stripes with the Halftone Filter. 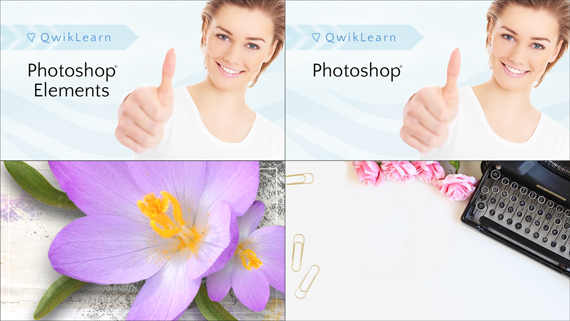 Follow along with this FREE Qwik Tutorial on the blog.